Charge up to 6 devices like phones, pads or tablets with this universal charger. It includes two alarm options and battery backup so you won't lose your settings during a power failure. Includes a snooze button as well. Whether on your nightstand, kitchen counter or office desk, this unit is an attractive, functional addition. Rest your device in the cradle(s) and enjoy a hands free screen view. 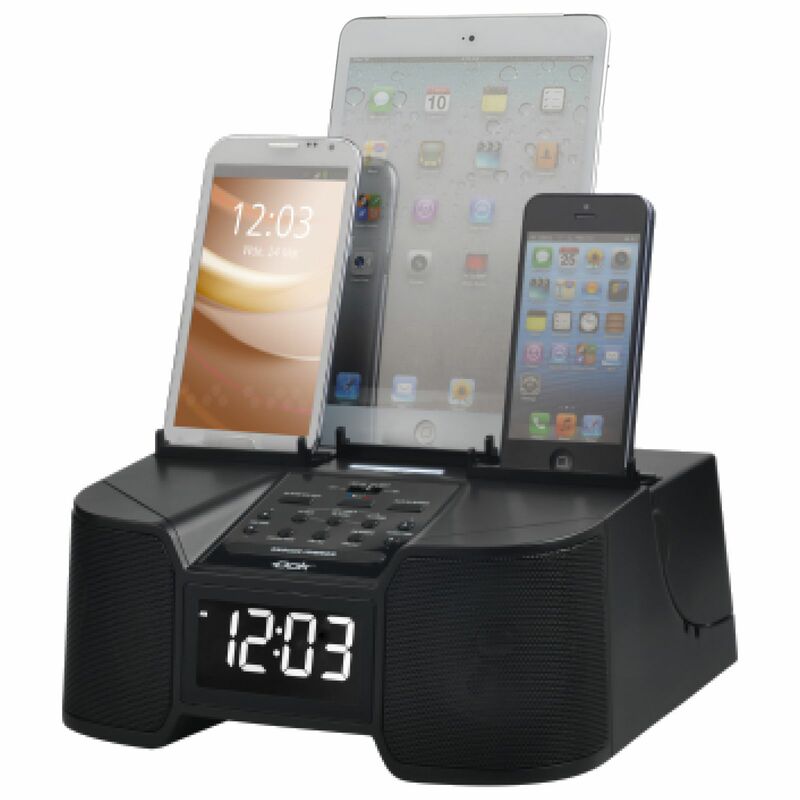 Added bonus is connect your device to this unit and enjoy your music on a larger, louder speaker. Better, if your device has Bluetooth, connect wirelessly. ORGANIZE / Charge any 6 portable media devices including phones, simultaneously, in one location. BLUETOOTH / Easy Answer Phone Calls Hands-Free.